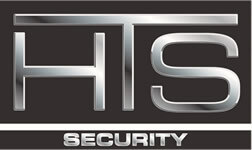 HTS Security installs and services security systems in Eagan, MN. We service the entire Twin Cities and surrounding areas, as well as western Wisconsin. HTS offers basic to sophisticated alarm systems, camera/surveillance systems and access control. Eagan is a city south of St. Paul in Dakota County in the U.S. state of Minnesota. The city lies on the south bank of the Minnesota River, upstream from the confluence with the Mississippi River. Eagan and nearby suburbs form the southern portion of Minneapolis–St. Paul, the fifteenth largest metropolitan area in the United States, with about 3.6 million residents. The population of Eagan was 64,206 at the 2010 census. Originally a rural Irish farming community and “Onion Capital of the United States”, Eagan became the eighth largest Minnesota city in the 2000 Census. The largest growth in Eagan took place following the relocation and expansion of Highway 77 along with the construction of the new six-lane bridge (with three northbound and three southbound lanes) over the Minnesota River in 1980 and also the completion of the final Interstate 35E freeway section southbound from Minnesota State Highway 110 in Mendota Heights to the area where it joins 35W in Burnsville in the mid-1980s. Its northern border is primarily along Interstate 494. Its southern border is about a mile south of Cliff Road. Its eastern border runs primarily along Minnesota State Highway 3. The western border runs primarily along the South bank of Minnesota River. Currently the fourth largest suburb in the metro area, Eagan is predominantly a commuter town of both Minneapolis and St. Paul. The city’s influence in the region grew when the companies Northwest Airlines (now Delta Air Lines) and Thomson West (now Thomson Reuters) established their headquarters. 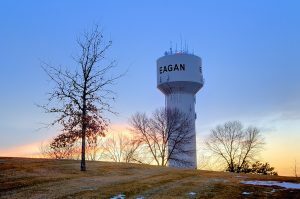 Today, Eagan is ranked as the fourteenth best place in the United States to live by Money Magazine.